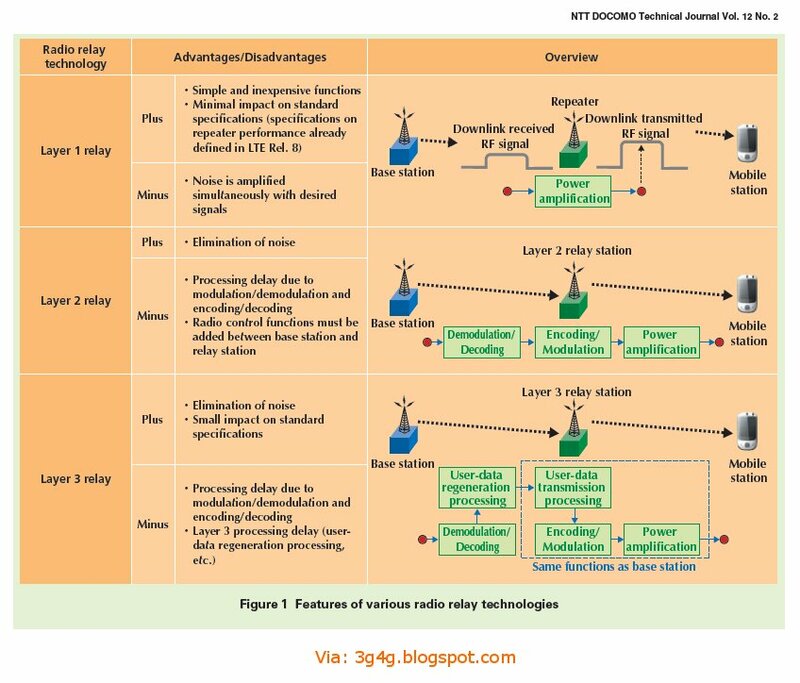 Idle state Signalling Reduction (or ISR) aims at reducing the frequency of Tracking Area Updates (TAU, in EUtran) and Routing Area Updates (RAU, in UTRAN/GERAN) procedures caused by UEs reselecting between E-UTRAN and GERAN/UTRAN which are operated together. Especially the update signalling between UE and network is reduced. But also network internal signalling is reduced. To some extent the reduction of network internal signalling is also available when ISR is not used or not activated by the network. UMTS described already RAs containing GERAN and UTRAN cells, which also reduces update signalling between UE and network. The combination of GERAN and UTRAN into the same RAs implies however common scaling, dimensioning and configuration for GERAN and UTRAN (e.g. same RA coverage, same SGSN service area, no GERAN or UTRAN only access control, same physical node for GERAN and UTRAN). As an advantage it does not require special network interface functionality for the purpose of update signalling reduction. ISR enables signalling reduction with separate SGSN and MME and also with independent TAs and RAs. Thereby the interdependency is drastically minimized compared with the GERAN/UTRAN RAs. This comes however with ISR specific node and interface functionality. SGSN and MME may be implemented together, which reduces some interface functions but results also in some dependencies. ISR support is mandatory for E-UTRAN UEs that support GERAN and/or UTRAN and optional for the network. ISR requires special functionality in both the UE and the network (i.e. in the SGSN, MME and Serving GW) to activate ISR for a UE. For this activation, the MME/SGSN detects whether S-GW supports ISR based on the configuration and activates ISR only if the S-GW supports the ISR. The network can decide for ISR activation individually for each UE. Gn/Gp SGSNs do not support ISR functionality. No specific HSS functionality is required to support ISR. NOTE. A Release 7 HSS needs additional functionality to support the 'dual registration' of MME and SGSN. Without such an upgrade, at least PS domain MT Location Services and MT Short Messages are liable to fail. It is inherent functionality of the MM procedures to enable ISR activation only when the UE is able to register via E-UTRAN and via GERAN/UTRAN. For example, when there is no E-UTRAN coverage there will be also no ISR activation. Once ISR is activated it remains active until one of the criteria for deactivation in the UE occurs, or until SGSN or MME indicate during an update procedure no more the activated ISR, i.e. the ISR status of the UE has to be refreshed with every update. When ISR is activated this means the UE is registered with both MME and SGSN. Both the SGSN and the MME have a control connection with the Serving GW. MME and SGSN are both registered at HSS. The UE stores MM parameters from SGSN (e.g. P-TMSI and RA) and from MME (e.g. GUTI and TA(s)) and the UE stores session management (bearer) contexts that are common for E-UTRAN and GERAN/UTRAN accesses. In idle state the UE can reselect between E-UTRAN and GERAN/UTRAN (within the registered RA and TAs) without any need to perform TAU or RAU procedures with the network. SGSN and MME store each other's address when ISR is activated. When ISR is activated and downlink data arrive, the Serving GW initiates paging processes on both SGSN and MME. In response to paging or for uplink data transfer the UE performs normal Service Request procedures on the currently camped-on RAT without any preceding update signalling (there are however existing scenarios that may require to perform a RAU procedure prior to the Service Request even with ISR is activated when GERAN/UTRAN RAs are used together, as specified in clause 6.13.1.3 of TS 23.060 ). The UE and the network run independent periodic update timers for GERAN/UTRAN and for E-UTRAN. When the MME or SGSN do not receive periodic updates MME and SGSN may decide independently for implicit detach, which removes session management (bearer) contexts from the CN node performing the implicit detach and it removes also the related control connection from the Serving GW. Implicit detach by one CN node (either SGSN or MME) deactivates ISR in the network. It is deactivated in the UE when the UE cannot perform periodic updates in time. When ISR is activated and a periodic updating timer expires the UE starts a Deactivate ISR timer. When this timer expires and the UE was not able to perform the required update procedure the UE deactivates ISR. Part of the ISR functionality is also available when ISR is not activated because the MM contexts are stored in UE, MME and SGSN also when ISR is not active. This results in some reduced network signalling, which is not available for Gn/Gp SGSNs. These SGSNs cannot handle MM and session management contexts separately. Therefore all contexts on Gn/Gp SGSNs are deleted when the UE changes to an MME. The MME can keep their MME contexts in all scenarios. Gn = IP Based interface between SGSN and other SGSNs and (internal) GGSNs. DNS also shares this interface. Uses the GTP Protocol. Gp = IP based interface between internal SGSN and external GGSNs. Between the SGSN and the external GGSN, there is the border gateway (which is essentially a firewall). Also uses the GTP Protocol. The UE may have valid MM parameters both from MME and from SGSN. The "Temporary Identity used in Next update" (TIN) is a parameter of the UE's MM context, which identifies the UE identity to be indicated in the next RAU Request or TAU Request message. The TIN also identifies the status of ISR activation in the UE. The TIN can take one of the three values, "P-TMSI", "GUTI" or "RAT-related TMSI". The UE sets the TIN when receiving an Attach Accept, a TAU Accept or RAU Accept message as specified in table 4.3.5.6-1. "ISR Activated" indicated by the RAU/TAU Accept message but the UE not setting the TIN to "RAT-related TMSI" is a special situation. By maintaining the old TIN value the UE remembers to use the RAT TMSI indicated by the TIN when updating with the CN node of the other RAT. Only if the TIN is set to "RAT-related TMSI" ISR behaviour is enabled for the UE, i.e. the UE can change between all registered areas and RATs without any update signalling and it listens for paging on the RAT it is camped on. 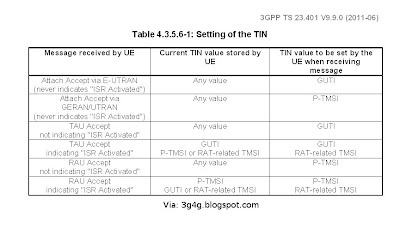 If the TIN is set to "RAT-related TMSI", the UE's P-TMSI and RAI as well as its GUTI and TAI(s) remain registered with the network and valid in the UE. When ISR is not active the TIN is always set to the temporary ID belonging to the currently used RAT. This guarantees that always the most recent context data are used, which means during inter-RAT changes there is always context transfer from the CN node serving the last used RAT. The UE identities, old GUTI IE and additional GUTI IE, indicated in the next TAU Request message, and old P-TMSI IE and additional P-TMSI/RAI IE, indicated in the next RAU Request message depend on the setting of TIN. The UE indicates also information elements "additional GUTI" or "additional P-TMSI" in the Attach Request, TAU or RAU Request. These information elements permit the MME/SGSN to find the already existing UE contexts in the new MME or SGSN, when the "old GUTI" or "old P-TMSI" indicate values that are mapped from other identities. 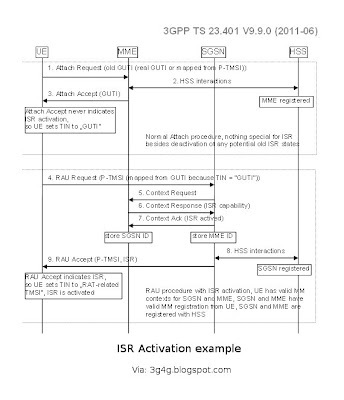 The information flow in Figure below shows an example of ISR activation. For explanatory purposes the figure is simplified to show the MM parts only. The process starts with an ordinary Attach procedure not requiring any special functionality for support of ISR. The Attach however deletes any existing old ISR state information stored in the UE. With the Attach request message, the UE sets its TIN to "GUTI". After attach with MME, the UE may perform any interactions via E-UTRAN without changing the ISR state. ISR remains deactivated. One or more bearer contexts are activated on MME, Serving GW and PDN GW, which is not shown in the figure. The first time the UE reselects GERAN or UTRAN it initiates a Routing Area Update. This represents an occasion to activate ISR. The TIN indicates "GUTI" so the UE indicates a P-TMSI mapped from a GUTI in the RAU Request. The SGSN gets contexts from MME. When the MME sends the context to the SGSN, the MME includes the ISR supported indication only if the involved S-GW supports the ISR. After the ISR activated, both CN nodes keep these contexts because ISR is being activated. The SGSN establishes a control relation with the Serving GW, which is active in parallel to the control connection between MME and Serving GW (not shown in figure). The RAU Accept indicates ISR activation to the UE. 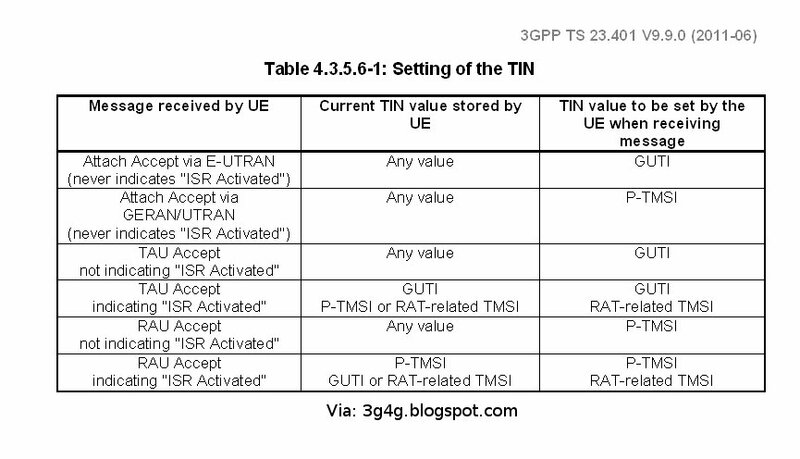 The UE keeps GUTI and P-TMSI as registered, which the UE memorises by setting the TIN to "RAT-related TMSI". The MME and the SGSN are registered in parallel with the HSS. After ISR activation, the UE may reselect between E-UTRAN and UTRAN/GERAN without any need for updating the network as long as the UE does not move out of the RA/TA(s) registered with the network. The network is not required to activate ISR during a RAU or TAU. 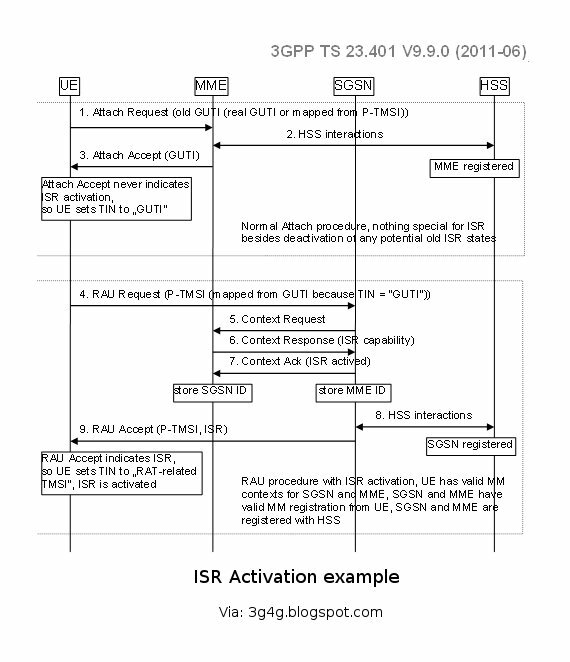 The network may activate ISR at any RAU or TAU that involves the context transfer between an SGSN and an MME. The RAU procedure for this is shown in Figure above. ISR activation for a UE, which is already attached to GERAN/UTRAN, with a TAU procedure from E-UTRAN works in a very similar way. 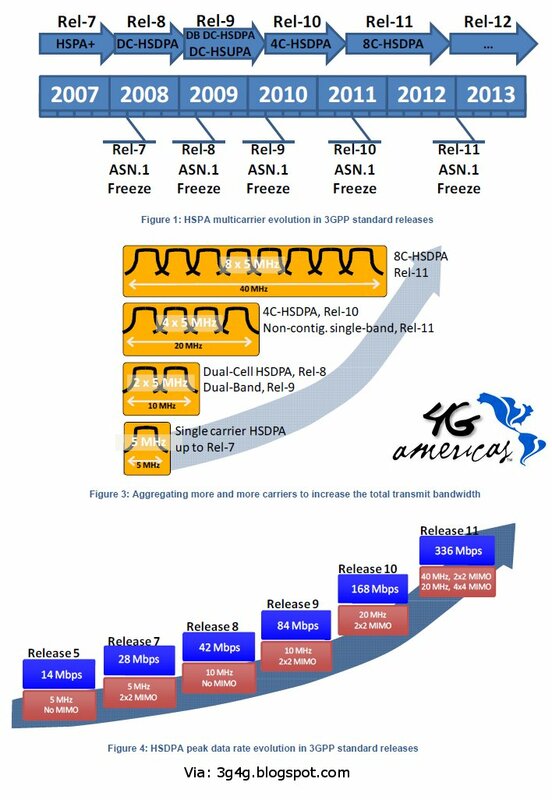 I had earlier put up some MIMO presentations that were too technical heavy so this one is less heavy and more figures. 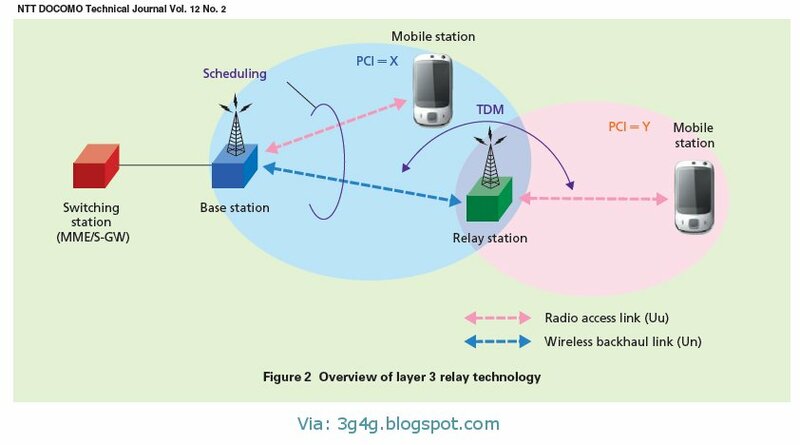 MIMO: A signal transmission technology that uses multiple antennas at both the transmitter and receiver to perform spatial multiplexing and improve communication quality and spectral efficiency. Spectral efficiency: The number of data bits that can be transmitted per unit time and unit frequency band. 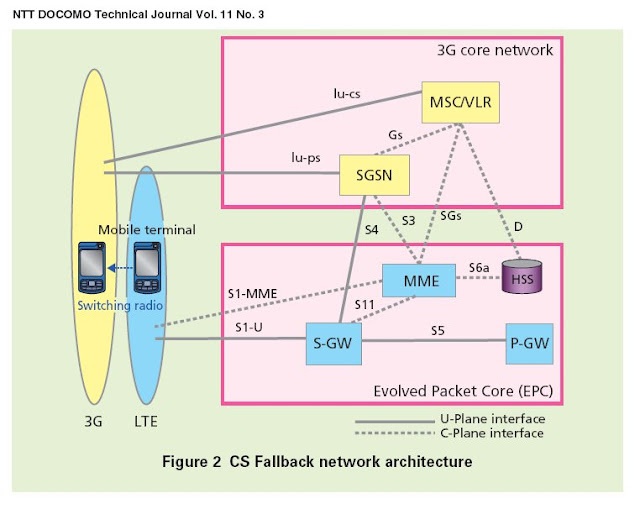 Single-User MIMO (SU-MIMO) was used for the downlink for LTE Rel. 8 to increase the peak data rate. The target data rates of over 100 Mbit/s were achieved by using a 20 MHz transmission bandwidth, 2 × 2 MIMO, and 64 Quadrature Amplitude Modulation (64QAM), and peak data rates of over 300 Mbit/s can be achieved using 4×4 SU-MIMO. The multi-antenna technology used for the downlink in LTE Rel. 8 is classified into the following three types. 1) Closed-loop SU-MIMO and Transmit Diversity: For closed-loop SU-MIMO transmission on the downlink, precoding is applied to the data carried on the Physical Downlink Shared Channel (PDSCH) in order to increase the received Signal to Interference plus Noise power Ratio (SINR). This is done by setting different transmit antenna weights for each transmission layer (stream) using channel information fed back from the UE. The ideal transmit antenna weights for precoding are generated from eigenvector(s) of the covariance matrix of the channel matrix, H, given by HHH, where H denotes the Hermitian transpose. However, methods which directly feed back estimated channel state information or precoding weights without quantization are not practical in terms of the required control signaling overhead. Thus, LTE Rel. 8 uses codebook-based precoding, in which the best precoding weights among a set of predetermined precoding matrix candidates (a codebook) is selected to maximize the total throughput on all layers after precoding, and the index of this matrix (the Precoding Matrix Indicator (PMI)) is fed back to the base station (eNode B) (Figure 1). LTE Rel. 8 adopts frequency-selective precoding, in which precoding weights are selected independently for each sub-band of bandwidth from 360 kHz to 1.44 MHz, as well as wideband precoding, with single precoding weights that are applied to the whole transmission band. The channel estimation used for demodulation and selection of the precoding weight matrix on the UE is done using a cell specific Reference Signal (RS) transmitted from each antenna. Accordingly, the specifications require the eNode B to notify the UE of the precoding weight information used for PDSCH transmission through the Physical Downlink Control Channel (PDCCH), and the UE to use this information for demodulation. LTE Rel. 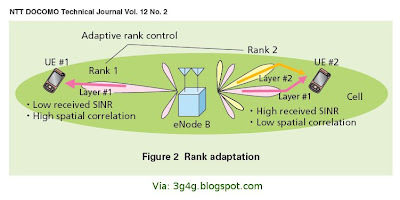 8 also adopts rank adaptation, which adaptively controls the number of transmission layers (the rank) according to channel conditions, such as the received SINR and fading correlation between antennas (Figure 2). Each UE feeds back a Channel Quality Indicator (CQI), a Rank Indicator (RI) specifying the optimal rank, and the PMI described earlier, and the eNode B adaptively controls the number of layers transmitted to each UE based on this information. 2) Open-loop SU-MIMO and Transmit Diversity: Precoding with closed-loop control is effective in low mobility environments, but control delay results in less accurate channel tracking ability in high mobility environments. 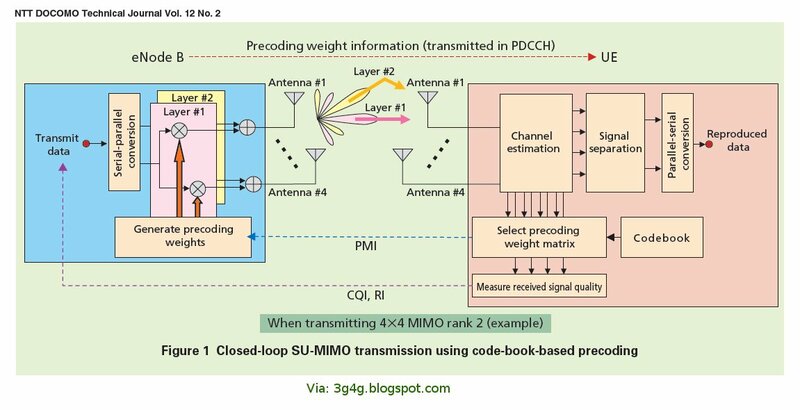 The use of open-loop MIMO transmission for the PDSCH, without requiring feedback of channel information, is effective in such cases. 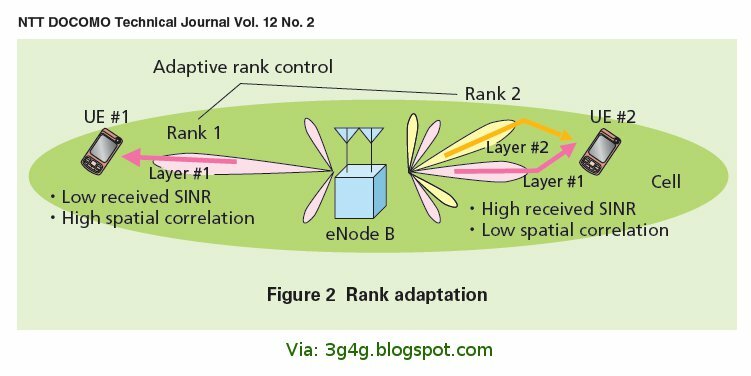 Rank adaptation is used, as in the case of closed-loop MIMO, but rank-one transmission corresponds to open-loop transmit diversity. Specifically, Space-Frequency Block Code (SFBC) is used with two transmit antennas, and a combination of SFBC and Frequency Switched Transmit Diversity (FSTD) (hereinafter referred to as “SFBC+FSTD”) is used with four transmit antennas. This is because, compared to other transmit diversity schemes such as Cyclic Delay Diversity (CDD), SFBC and SFBC+FSTD achieve higher diversity gain, irrespective of fading correlation between antennas, and achieve the lowest required received SINR. On the other hand, for PDSCH transmission with rank of two or higher, fixed precoding is used regardless of channel variations. In this case, cyclic shift is performed before applying the precoding weights, which effectively switches precoding weights in the frequency domain, thereby averaging the received SINR is over layers. 3) Adaptive Beamforming: Adaptive beamforming uses antenna elements with a narrow antenna spacing of about half the carrier wavelength and it has been studied for use with base stations with the antennas mounted in a high location. 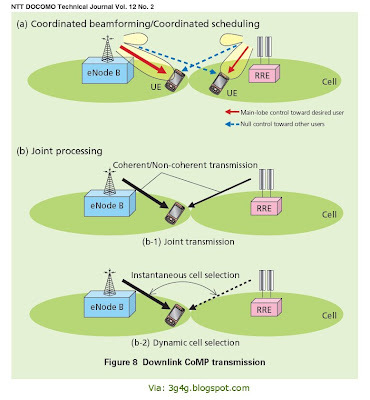 In this case beamforming is performed by exploiting the UE Direction of Arrival (DoA) or the channel covariance matrix estimated from the uplink, and the resulting transmit weights are not selected from a codebook. In LTE Rel. 8, a UE-specific RS is defined for channel estimation in order to support adaptive beamforming. Unlike the cell-specific RS, the UE specific RS is weighted with the same weights as the data signals sent to each UE, and hence there is no need to notify the UE of the precoding weights applied at the eNode B for demodulation at the UE. However, its effectiveness is limited in LTE Rel. 8 because only one layer per cell is supported, and it is an optional UE feature for Frequency Division Duplex (FDD). On the uplink in LTE Rel. 8, only one-layer transmission was adopted in order to simplify the transmitter circuit configuration and reduce power consumption on the UE. This was done because the LTE Rel. 8 target peak data rate of 50 Mbit/s or more could be achieved by using a 20 MHz transmission bandwidth and 64QAM and without using SU-MIMO. However, Multi-User MIMO (MU-MIMO) can be used to increase system capacity on the LTE Rel. 8 uplink, using multiple receiver antennas on the eNode B. Specifically, the specification requires orthogonalization of the demodulation RSs from multiple UEs by assigning different cyclic shifts of a Constant Amplitude Zero Auto-Correlation (CAZAC) sequence to the demodulation RSs, so that user signals can be reliably separated at the eNode B. Demodulation RSs are used for channel estimation for the user-signal separation process. The target peak spectral efficiency in LTE-Advanced is 30 bit/s/Hz. To achieve this, high-order SU-MIMO with more antennas is necessary. Accordingly, it was agreed to extend the number of layers of SU-MIMO transmission in the LTE-Advanced downlink to a maximum of 8 layers. The number of transmission layers is selected by rank adaptation. The most significant issue with the radio interface in supporting up to 8 layers is the RS structure used for CQI measurements and PDSCH demodulation. 1) Channel State Information (CSI)-RS: For CQI measurements with up-to-8 antennas, new CSI-RSs are specified in addition to cell-specific RS defined in LTE Rel. 8 for up-to-four antennas. However, in order to maintain backward compatibility with LTE Rel. 8 in LTE-Advanced, LTE Rel. 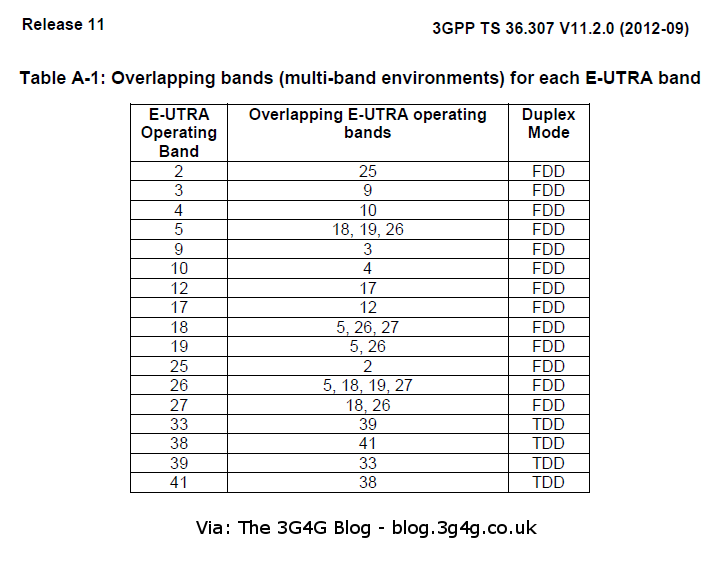 8 UE must be supported in the same band as in that for LTE-Advanced. Therefore, in LTE Advanced, interference to the PDSCH of LTE Rel. 8 UE caused by supporting CSI-RS must be minimized. To achieve this, the CSI-RS are multiplexed over a longer period compared to the cell-specific RS, once every several subframes (Figure 3). This is because the channel estimation accuracy for CQI measurement is low compared to that for demodulation, and the required accuracy can be obtained as long as the CSIRS is sent about once per feedback cycle. A further reason for this is that LTE-Advanced, which offers higher data-rate services, will be developed to complement LTE Rel. 8, and is expected to be adopted mainly in low-mobility environments. 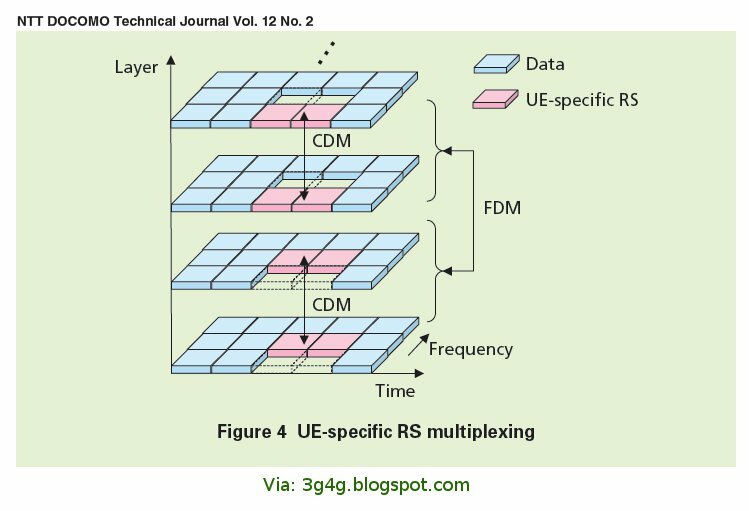 2) UE-specific RS: To allow demodulation of eight-layer SU-MIMO, the UE-specific RS were extended for SU-MIMO transmission, using a hybrid of Code Division Multiplexing (CDM) and Frequency Division Multiplexing (FDM) (Figure 4). The UE-specific RS pattern for each rank (number of layers) is shown in Figure 5. 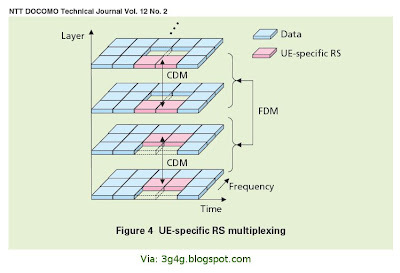 The configuration of the UE-specific RS in LTE-Advanced has also been optimized differently from those of LTE Rel.8, extending it for SU-MIMO as well as adaptive beamforming, such as by applying twodimensional time-frequency orthogonal CDM to the multiplexing between transmission layers. 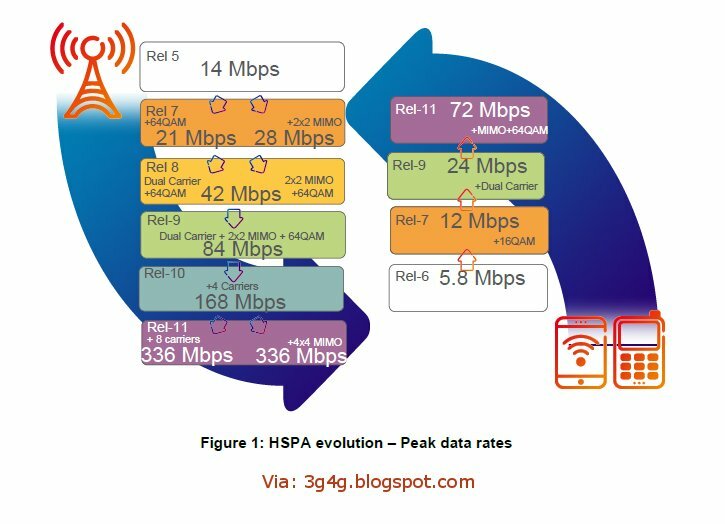 In addition to the peak data rate, the system capacity and cell-edge user throughput must also be increased in LTE-Advanced compared to LTE Rel. 8. MU-MIMO is an important technology for satisfying these requirements. With MU-MIMO and CoMP transmission (described earlier), various sophisticated signal processing techniques are applied at the eNode B to reduce the interference between transmission layers, including adaptive beam transmission (zero-forcing, block diagonalization, etc. ), adaptive transmission power control and simultaneous multi-cell transmission. When these sophisticated transmission techniques are applied, the eNode B multiplexes the UE-specific RS described above with the PDSCH, allowing the UE to demodulate the PDSCH without using information about transmission technology applied by the eNode B. This increases flexibility in applying sophisticated transmission techniques on the downlink. On the other hand, PMI/CQI/RI feedback extensions are needed to apply these sophisticated transmission techniques, and this is currently being discussed actively at the 3GPP. To reduce the difference in peak data rates achievable on the uplink and downlink for LTE Rel. 8, a high target peak spectral efficiency of 15 bit/s/Hz was specified for the LTE-Advanced uplink. To achieve this, support for SU-MIMO with up to four transmission antennas was agreed upon. In particular, the two-transmission-antenna SU-MIMO function is required to satisfy the peak spectral efficiency requirements of IMT-Advanced. 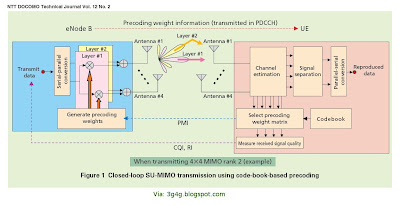 For the Physical Uplink Shared Channel (PUSCH), it was agreed to apply SU-MIMO with closed-loop control using multiple antennas on the UE, as well as codebook-based precoding and rank adaptation, as used on the downlink. The eNode B selects the precoding weight from a codebook to maximize achievable performance (e.g., received SINR or user throughput after precoding) based on the sounding RS, which is used for measuring the quality of the channel transmitted by the UE. The eNode B notifies the UE of the selected precoding weight together with the resource allocation information used by the PDCCH. The precoding for rank one contributes to antenna gain, which is effective in increasing cell edge user throughput. However, considering control-information overhead and increases in Peak-to-Average Power Ratio (PAPR), frequency-selective precoding is not very effective in increasing system throughput, so only wideband precoding has been adopted. Also, for rank two or higher, when four transmission antennas are used, the codebook has been designed not to increase the PAPR. The demodulation RS, which is used for channel estimation, is weighted with the same precoding weight as is used for the user data signal transmission. Basically, orthogonalization is achieved by applying a different cyclic shift to each layer, but orthogonalizing the code region using block spread together with this method is adopted. Closed-loop transmit diversity is applied to PUSCH as described above for SU-MIMO. Application of transmit diversity to the Physical Uplink Control Channel (PUCCH) is also being studied. For sending retransmission request Acknowledgment (ACK) and Negative ACK (NAK) signals as well as scheduling request signals, application of Spatial Orthogonal-Resource Transmit Diversity (SORTD) using differing resource blocks per antenna or an orthogonalizing code sequence (cyclic shift, block spread sequence) has been agreed upon (Figure 6). 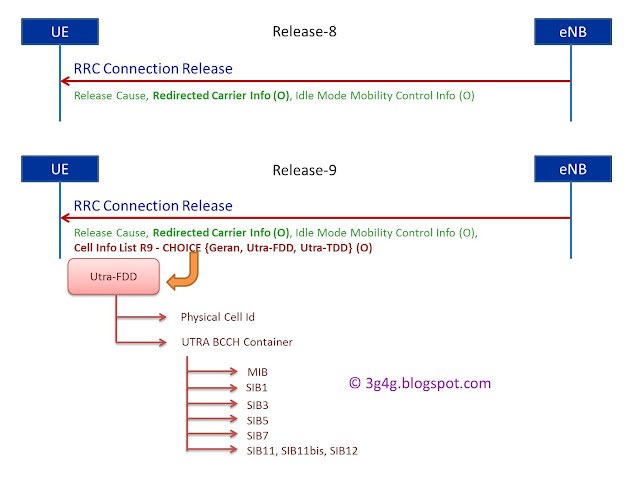 However, with LTE-Advanced, the cell design must be done so that LTE Rel. 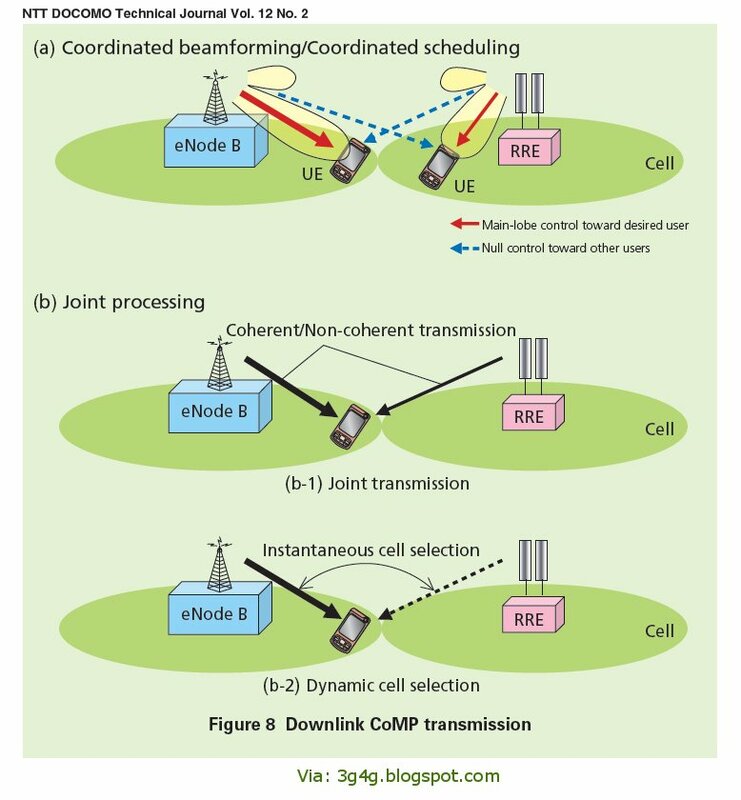 8 UE get the required quality at cell-edges, so applying transmit diversity to the control channels cannot contribute to increasing the coverage area, but only to reducing the transmission power required. Its been couple of years since the introductory post on 3GPP Earthquake and Tsunami Warning service (ETWS). 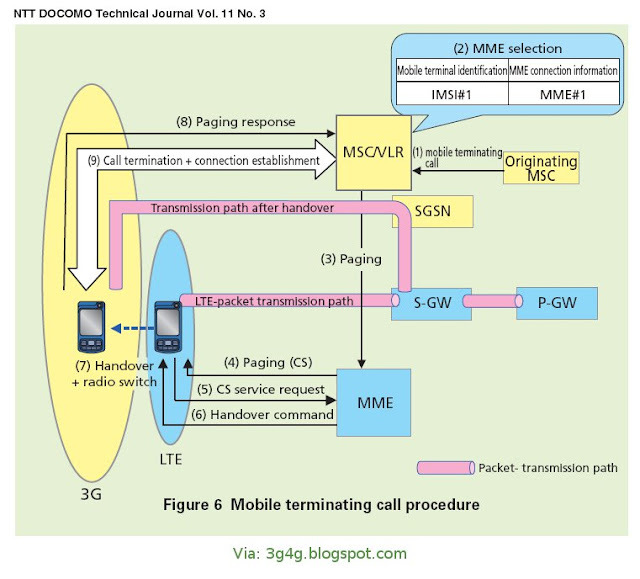 The following is more detailed post on ETWS from the NTT Docomo technical journal. 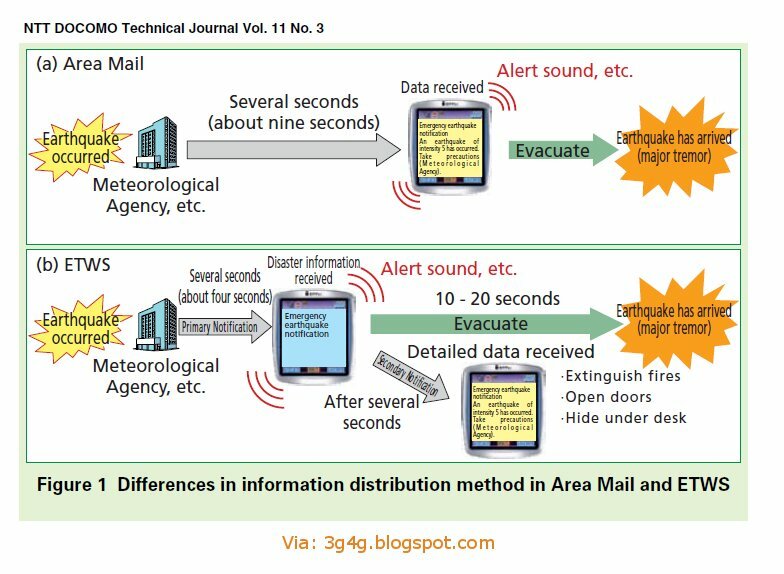 3GPP Release 8 accepted the standard technical specification for warning message distribution platform such as Area Mail, which adopts pioneering technology for faster distribution, in order to fulfil the requirements concerning the distribution of emergency information e.g. earthquakes, tsunamis and so on in LTE/EPC. The standard specifies the delivery of emergency information in two levels. The Primary Notification contains the minimum, most urgently required information such as “An earthquake occurred”; the Secondary Notification includes supplementary information not contained in the Primary Notification, such as seismic intensity, epicentre, and so on. This separation allows implementation of excellent information distribution platforms that can achieve the theoretically fastest speed of the warning distribution. The purpose of the ETWS is to broadcast emergency information such as earthquake warnings provided by a local or national governments to many mobile terminals as quickly as possible by making use of the characteristic of the widespread mobile communication networks. The ETWS, in the same way as Area Mail, detects the initial slight tremor of an earthquake, the Primary Wave (P wave - The first tremor of an earthquake to arrive at a location), and sends a warning message that an earthquake is about to happen to the mobile terminals in the affected area. ETWS can deliver the first notification to mobile terminals in the shortest theoretical time possible in a mobile communication system (about four seconds after receiving the emergency information from the local or national government), which is specified as a requirement by 3GPP. 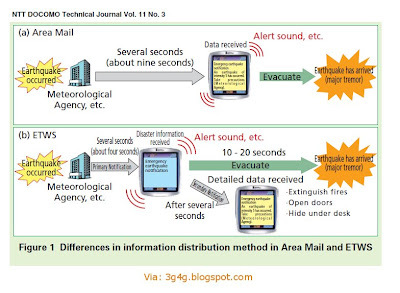 The biggest difference between Area Mail and the ETWS is the disaster notification method (Figure 1). Earthquake warnings in Area Mail have a fixed-length message configuration that notifies of an earthquake. ETWS, on the other hand, achieves distribution of the highest priority information in the shortest time by separating out the minimum information that is needed with the most urgency, such as “Earthquake about to happen,” for the fastest possible distribution as a Primary Notification; other supplementary information (seismic intensity, epicentre, etc.) is then distributed in a Secondary Notification. This distinction thus implements a flexible information distribution platform that prioritizes information distribution according to urgency. The Primary Notification contains only simple patterned disaster information, such as “Earthquake.” When a mobile terminal receives a Primary Notification, it produces a pre-set alert sound and displays pre-determined text on the screen according to the message content to notify users of the danger. The types of disaster that a Primary Notification can inform about are specified as “Earthquake,” “Tsunami,” “Tsunami + Earthquake,” “Test” and “Other,” regardless of the type of radio access. The Secondary Notification contains the same kind of message as does the existing Area Mail service, which is, for example, textual information distributed from the network to the mobile terminal to inform of the epicentre, seismic intensity and other such information. That message also contains, in addition to text, a Message Identifier and Serial Number that identifies the type of disaster. A major feature of the ETWS is compatibility with international roaming. Through standardization, mobile terminals that can receive ETWS can receive local emergency information when in other countries if the local network provides the ETWS service. These services are provided in a manner that is common to all types of radio access (3G, LTE, etc.). The ETWS platform is designed based on the Cell Broadcast Service (CBS). The ETWS network architecture is shown in Figure 2. Fig. 2 also shows the architecture for 3G network to highlight the features differences between LTE and 3G. 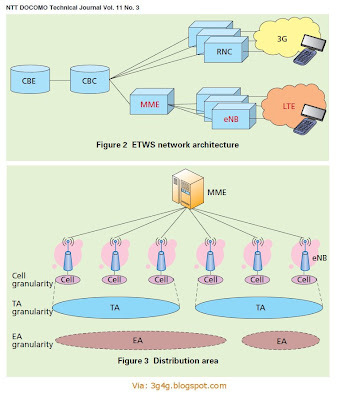 In the ETWS architecture for 3G, a Cell Broadcast Centre (CBC), which is the information distribution server, is directly connected to the 3G Radio Network Controller (RNC). The CBC is also connected to the Cell Broadcast Entity (CBE), which distributes information from the Meteorological Agency and other such sources. In an LTE radio access network, however, the eNodeB (eNB) is directly connected to the core network, and eNB does not have a centralized radio control function as the one provided by the RNC of 3G. Accordingly, if the same network configuration as used for 3G were to be adopted, the number of eNB connected to the CBC would increase and add to the load on the CBC. 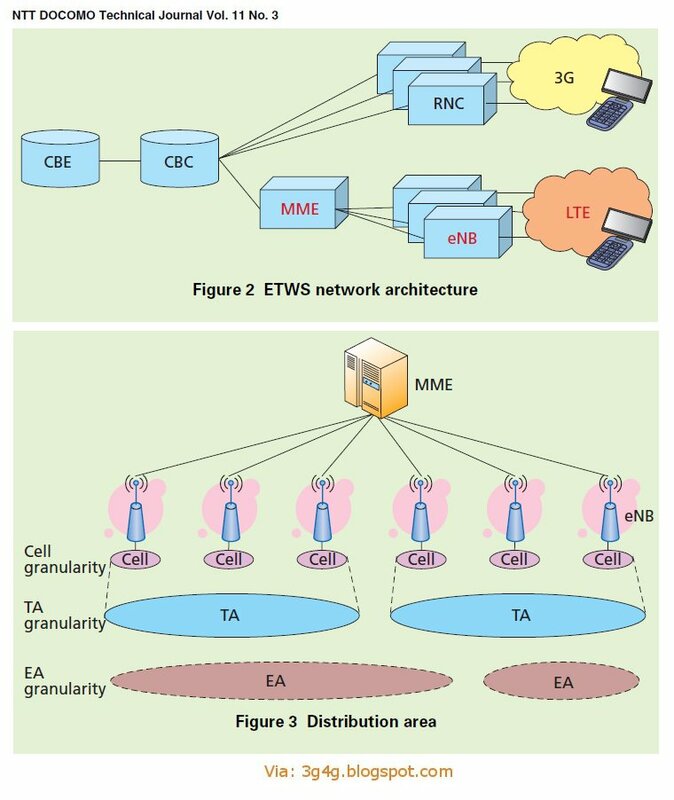 To overcome that issue, ETWS for LTE adopts a hierarchical architecture in which the CBC is connected to a Mobility Management Entity (MME). The MME, which acts as a concentrator node, is connected to a number of eNBs. This architecture gives advantages to the network, such as reducing the load in the CBC and reducing the processing time, and, thus preventing delay in distribution. In the 3G ETWS and Area Mail systems, the distribution area can be specified only in cell units, which creates the issue of huge distribution area database in CBC. In LTE ETWS, however, the distribution area is specified in three different granularities (Figure 3). This allows the operator to perform area planning according to the characteristic of the warning/emergency occasions, e.g. notice of an earthquake with a certain magnitude needs to be distributed in a certain width of area, thus allowing efficient and more flexible broadcast of the warning message. 1) Cell Level Distribution Area: The CBC designates the cell-level distribution areas by sending a list of cell IDs. The emergency information is broadcasted only to the designated cells. Although this area designation has the advantage of being able to pinpoint broadcast distribution to particular areas, it necessitates a large processing load in the network node (CBC, MME and eNB) especially when the list is long. 2) TA Level Distribution Area: In this case, the distribution area is designated as a list of Tracking Area Identities (TAIs). TAI is an identifier of a Tracking Area (TA), which is an LTE mobility management area. The warning message broadcast goes out to all of the cells in the TAIs. This area designation has the advantage of less processing load when the warning message has to be broadcast to relatively wide areas. 3) EA Level Distribution Area: The Emergency Area (EA) can be freely defined by the operator. An EA ID can be assigned to each cell, and the warning message can be broadcasted to the relevant EA only. The EA can be larger than a cell and is independent of the TA. EA is a unit of mobility management. EA thus allows flexible design for optimization of the distribution area for the affected area according to the type of disaster. 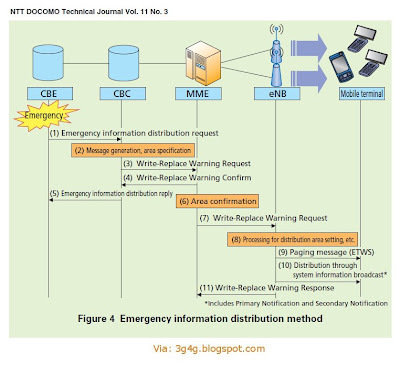 The method of distributing emergency information to LTE radio networks is shown in Figure 4. 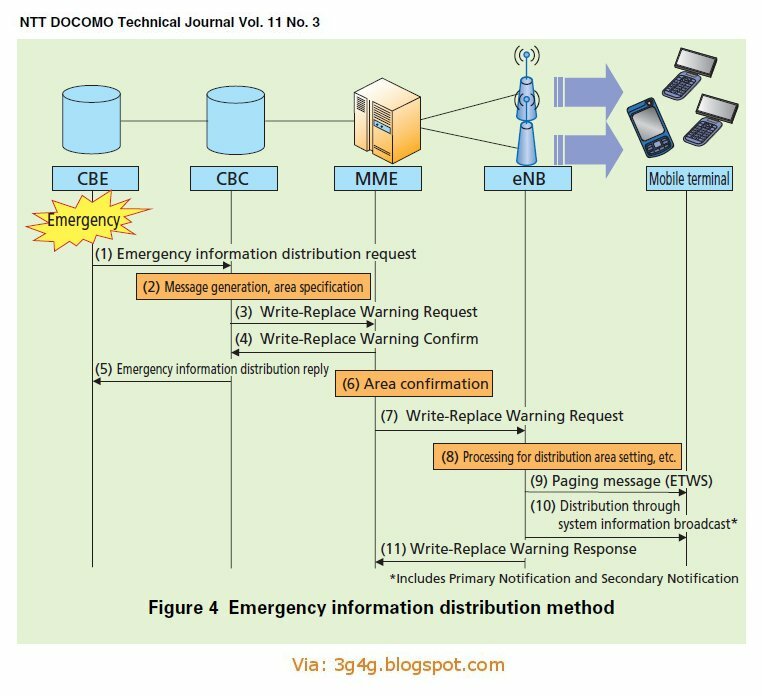 When the CBC receives a request for emergency information distribution from CBE, it creates the text to be sent to the terminals and specifies the distribution area from the information in the request message (Fig. 4 (1) (2)). Next, the CBC sends a Write-Replace Warning Request message to the MME of the specified area. This message contains information such as disaster type, warning message text, message distribution area, Primary Notification information, etc. (Fig. 4 (3)). When the MME receives this message, it sends a response message to the CBC to notify that the message was correctly received. The CBC then notifies the CBE that the distribution request was received and the processing has begun (Fig. 4 (4) (5)). At the same time, the MME checks the distribution area information in the received message (Fig. 4 (6)) and, if a TAI list is included, it sends the Write-Replace Warning Request message only to the eNB that belong to the TAI in the list (Fig. 4 (7)). If the TAI list is not included, the message is sent to all of the eNB to which the MME is connected. When the eNB receives the Write-Replace Warning Request message from the MME, it determines the message distribution area based on the information included in the Write-Replace Warning Request message (Fig. 4 (8)) and starts the broadcast (Fig. 4 (9) (10)). The following describes how the eNB processes each of the specified information elements. 1) Disaster Type Information (Message Identifier/Serial Number): If an on-going broadcast of a warning message exists, this information is used by the eNB to decide whether it shall discard the newly received message or overwrite the ongoing warning message broadcast with the newly received one. Specifically, if the received request message has the same type as the message currently being broadcasted, the received request message is discarded. If the type is different from the message currently being broadcast, the received request message shall overwrite the ongoing broadcast message and the new warning message is immediately broadcasted. 2) Message Distribution Area (Warning Area List): When a list of cells has been specified as the distribution area, the eNB scans the list for cells that it serves and starts warning message broadcast to those cells. If the message distribution area is a list of TAIs, the eNB scans the list for TAIs that it serves and starts the broadcast to the cells included in those TAIs. In the same way, if the distribution area is specified as an EA (or list of EAs), the eNB scans the EA ID list for EA IDs that it serves and starts the broadcast to the cells included in the EA ID. If the received Write-Replace Warning Request message does not contain distribution area information, the eNB broadcasts the warning message to all of the cells it serves. 3) Primary Notification Information: If Primary Notification information indication exists, that information is mapped to a radio channel that is defined for the broadcast of Primary Notification. 4) Message Text: The eNB determines whether or not there is message text and thus whether or not a Secondary Notification needs to be broadcasted. If message text exists, that text is mapped to a radio channel that is defined for the broadcast of Secondary Notification. The Secondary Notification is broadcast according to the transmission intervals and number of transmissions specified by the CBC. Upon the completion of a broadcast, the eNB returns the result to the MME (Fig. 4 (11)). Overview : In the previous Area Mail service, only mobile terminals in the standby state (RRC_IDLE) could receive emergency information, but in ETWS, emergency information can be received also by mobile terminals in the connected state (RRC_CONNECTED), and hence the information can be delivered to a broader range of users. In LTE, when delivering emergency information to mobile terminals, the eNB sends a bit in the paging message to notify that emergency information is to be sent (ETWS indication), and sends the emergency information itself as system information broadcast. In 3G, on the other hand, the emergency information is sent through the paging message and CBS messages. 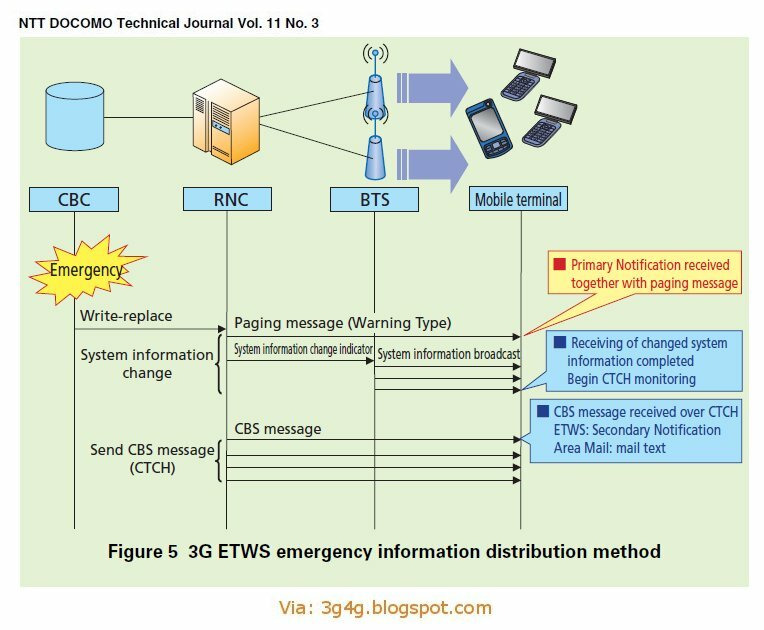 Message Distribution method for LTE: When the eNB begins transmission of the emergency information, a paging message in which the ETWS indication is set is sent to the mobile terminal. ETWS-compatible terminals, whether in standby or connected, try to receive a paging message at least once per default paging cycle, whose value is specified by the system information broadcast and can be set to 320 ms, 640 ms, 1.28 s or 2.56 s according to the 3GPP specifications. If a paging message that contains an ETWS indication is received, the terminal begins receiving the system information broadcast that contains the emergency information. The paging message that has the ETWS indication set is sent out repeatedly at every paging opportunity, thus increasing the reception probability at the mobile terminal. The ETWS message itself is sent as system information broadcast. Specifically, the Primary Notification is sent as the Warning Type in System Information Block Type 10 (SIB10) and the Secondary Notification is sent as a Warning Message in SIB11. By repeated sending of SIB10 and SIB11 (at an interval that can be set to 80 ms, 160 ms, 320 ms, 640 ms, 1.28 s, 2.56 s, or 5.12 s according to the 3GPP specifications), the probability of the information being received at the residing mobile terminal can be increased. In addition, the SIB10 and SIB11 scheduling information is included in SIB1 issued at 80-ms intervals, so mobile terminals that receive the ETWS indication try to receive SIB10 and SIB11 after first having received the SIB1. By checking the disaster type information (Message Identifier and Serial Number) contained in SIB10 and SIB11, the mobile terminal can prevent the receiving of multiple messages that contain the same emergency information. 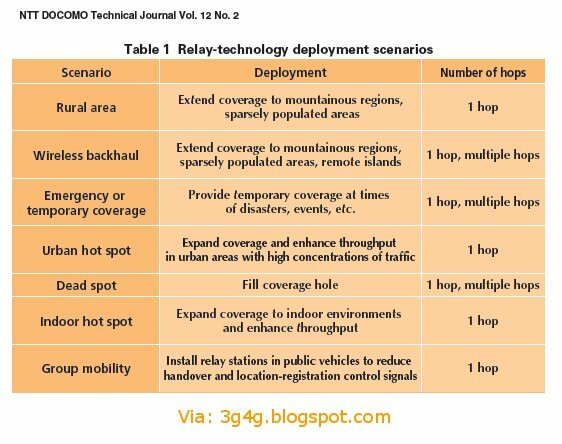 3G Message Distribution Method: For faster information delivery and increased range of target uers in 3G also, the CBS message distribution control used in Area Mail was enhanced. An overview of the 3G radio system is shown in Figure 5. In the Area Mail system, a Common Traffic Channel (CTCH) logical channel is set up in the radio link, and emergency information distribution is implemented by sending CBS messages over that channel. To inform the mobile terminals that the CTCH logical channel has been set up, the RNC orders the base station (BTS) to set the CTCH Indicator information element in the system information broadcast to TRUE, and transmits the paging message indicating a change in the system information broadcast to the mobile terminals. When the mobile terminal receives the CTCH Indicator, it begins monitoring the CTCH logical channel and can receive CBS messages. In ETWS, by including the Warning Type in the paging message indicating a change in the system information broadcast, processing for a pop-up display and alert sound processing (Primary Notification) at the mobile terminals according to the Warning Type can be executed in parallel to the processing at the mobile terminals to start receiving the CBS messages. This enhancement allows users whose terminals are in the connected state (RRC_CONNECTED) to also receive emergency information. In the previous system, it was not possible for these users to receive emergency information. Also including disaster type information (Message Identifier and Serial Number) in this paging message makes it possible to prevent receiving multiple messages containing the same emergency information at the mobile terminal. More detailed information (Secondary Notification) is provided in CBS messages in the same way as in the conventional Area Mail system, thus achieving an architecture that is common to ETWS users and Area Mail users. 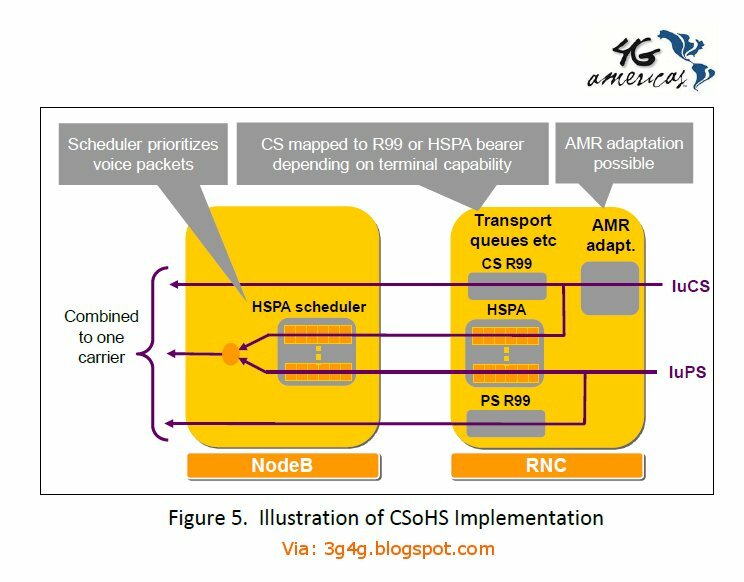 I have explained CSFB with basic signalling here and there is a very interesting Ericsson whitepaper explaining all Voice issues in LTE here. The basic concept of CS Fallback is shown in Figure 1. Given a mobile terminal camping on LTE, a mobile terminating voice call arrives at the terminal from the existing CS domain via EPC. On receiving a paging message, the mobile terminal recognises that the network is calling the mobile terminal for CS-based voice and therefore switches to 3G. 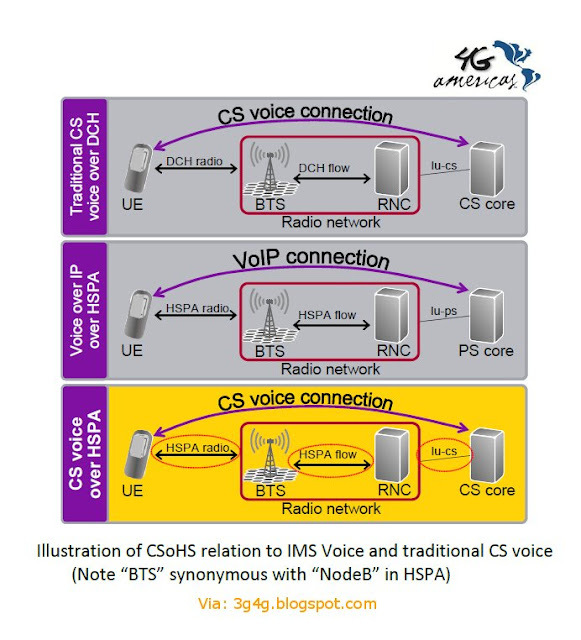 The response confirming the acceptance of a call request is then sent from the mobile terminal to the 3G-CS system, and from that point on, all call control for the voice service is performed on the 3G side. purpose. The network architecture of CS Fallback is shown in Figure 2.
packet switch. The SGs provides nearly all the functions provided by the existing Gs. between the 3G CS domain and the EPC to enable this transfer to take place. A mobile communications network must always know where a mobile terminal is located to deliver mobile terminating service requests to the mobile user on the mobile terminating side. The procedure for determining terminal location is called “mobility management". As a basic function of mobile communications, 3G and LTE each provide a mobility management function. To complete a call using the CS Fallback function, the CS domain needs to know which LTE location registration area the mobile terminal is currently camping on. 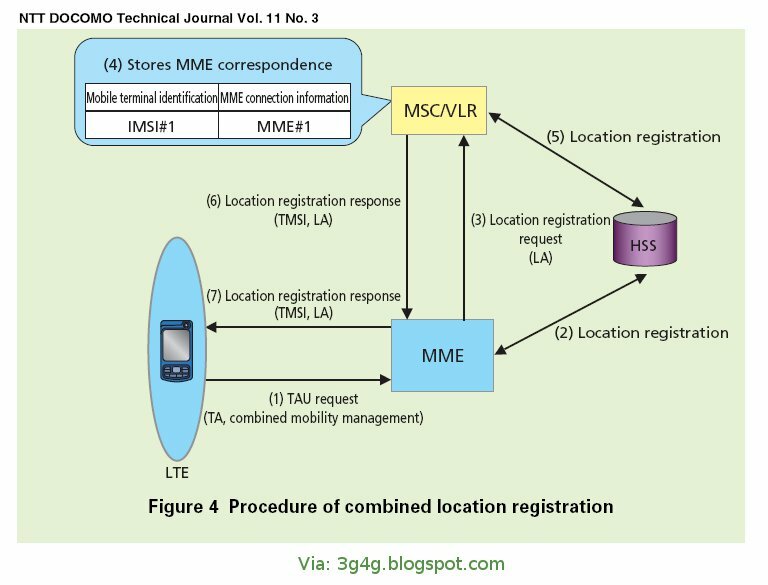 To this end, the MME must correlate mobility management control of the CS domain with that of EPC and inform MSC/VLR that the mobile terminal is present in an LTE location registration area. The 3G core network already incorporates a function for linking mobility management of the CS domain with that of the Packet Switched (PS) domain providing packet-switching functions. As described above, the CS domain and PS domain functions are provided via separate switches. Thus, if combined mobility management can be used, the mobility management procedure for the terminal only needs to be performed once, which has the effect of reducing signal traffic in the network. This concept of combined mobility management is appropriated by the CS Fallback function. Specifically, MSC/VLR uses the same logic for receiving a location registration request from SGSN as that for receiving a location registration request from MME. This achieves a more efficient combined mobility management between the CS domain and EPC while reducing the development impact on MSC. As described above, a mobile terminal using LTE cannot use 3G at the same time. 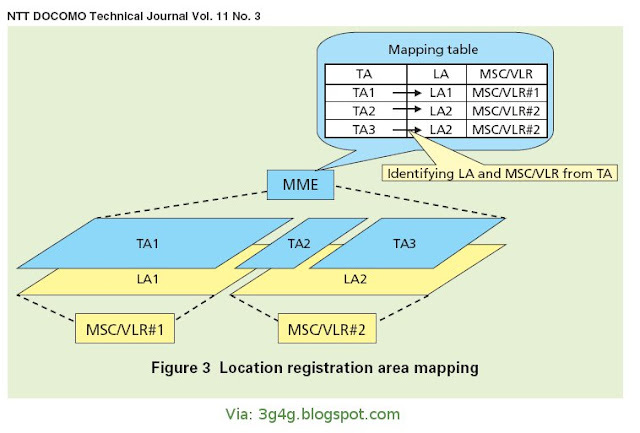 This implies that the MME, which contains the LTE location registration area (Tracking Area (TA)), is unable to identify which MSC/VLR it should send the mobility management messages to from the TA alone. To solve this problem, the mapping of TAs and 3G Location Areas (LA) within MME has been adopted. The concept behind TA/LA mapping is shown in Figure 3. Here, MME stores a database that manages the correspondence between physically overlapping TAs and LAs. This information is used to determine which MSC/VLR to target for location registration. The combined TA/LA update procedure for CS fallback is shown in detail in Figure 4. First, the mobile terminal sends to the MME a Tracking Area Update (TAU) request message indicating a combined TAU and the current TA in which the mobile terminal is currently present (Fig. 4 (1)). The MME then performs a location update procedure towards Home Subscriber Server (HSS), which is a database used for managing subscriber profiles (Fig. 4 (2)). Next, the MME uses the TA/LA correspondence database to identify the corresponding LA and the MSC/VLR that is managing that area, and uses the SGs reference point to send a Location Area Update (LAU) request message to the MSC/VLR together with the LA so identified (Fig. 4 (3)). The MSC/VLR that receives the LAU request message stores the correspondence between the ID of the MME originating the request and an ID such as the International Mobile Subscriber Identity (IMSI) that identifies the subscriber (Fig. 4 (4)). This enables the MSC/VLR to know which MME the mobile terminal is currently connected to and that the mobile terminal is camping on LTE. Following this, the MSC/VLR performs a location registration procedure with the HSS (Fig. 4 (5)). Finally, the MSC/VLR informs the MME of temporary user identity (Temporary Mobile Subscriber Identity (TMSI)), which is used at the time of a mobile terminating call in the CS domain, and indicates that location registration has been completed. The MME then informs the mobile terminal of the TMSI and of the LA that the mobile terminal has been registered with thereby completing combined location registration (Fig. 4 (6) (7)). 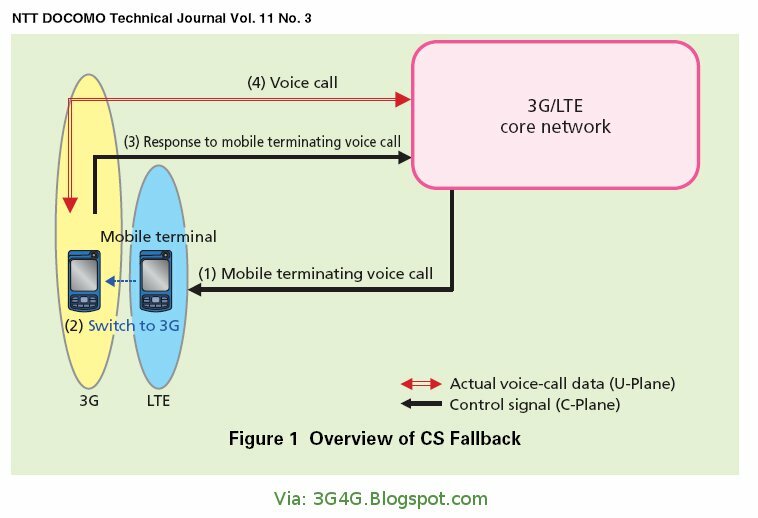 To originate a voice call using the CS Fallback function, a mobile terminal in the LTE location registration area must first switch (fall back) to 3G. The mobile-originating voice call procedure is shown in Figure 5. To originate a call, the mobile terminal begins by sending a CS fallback service request message to the MME (Fig. 5 (1)). Since a packet-communications transmission path (bearer) must always exist in EPC for the purpose of providing an always-on connection, the bearer also has to be handed over to 3G. To accomplish this, the MME issues a handover command to the mobile terminal in LTE and initiates a handover procedure (Fig. 5 (2)). 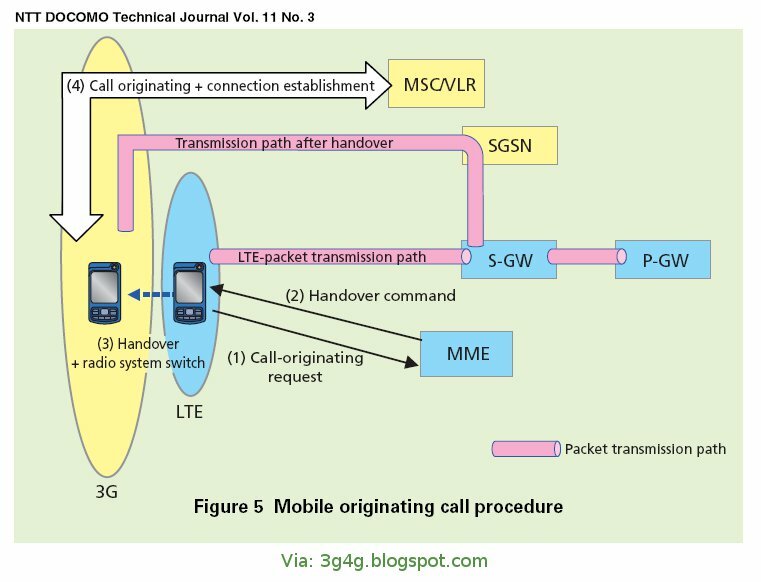 The mobile terminal changes its radio from LTE to 3G during this procedure (Fig. 5 (3)). On completion of handover, the mobile terminal issues an originating request for voice service to the MSC/VLR. 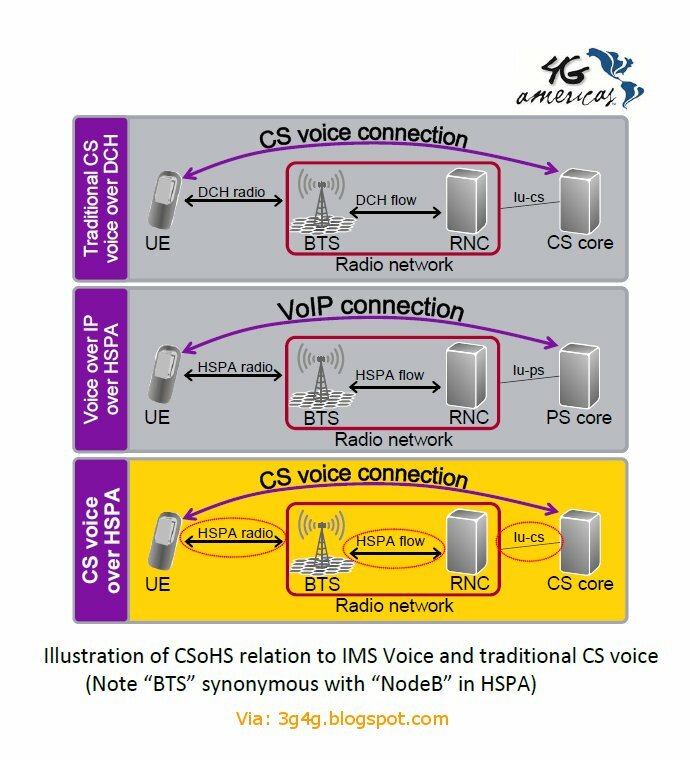 A voice-call connection is then established using an existing calloriginating procedure on 3G and the CS Fallback procedure is completed (Fig. 5(4)). The mobile terminating voice call procedure using CS Fallback is shown in Figure 6. When the MSC/VLR receives a message indicating the occurrence of a mobile terminating call (Fig. 6 (1)), the MSC/VLR identifies the corresponding MME from the call information received (Fig. 6 (2)). Then, the MSC/VLR sends a paging message (Fig. 6 (3)) towards the MME. Next, the MME sends a paging message to the mobile terminal in LTE (Fig. 6 (4)). This paging message includes an indication that the call is a CS service, and on identifying the call as such, the mobile terminal sends a CS fallback service request signal to the MME (Fig. 6 (5)). Following this, a handover procedure to 3G as described above takes place (Fig. 6 (6), (7)). The mobile terminal that is now switched to 3G sends a paging response message to the MSC/VLR at which it is registered (Fig. 6 (8)). Finally, an existing mobile terminating call procedure on 3G is executed and the CS Fallback procedure is completed (Fig. 6 (9)).